BOGO THURSDAY – Honey, Breathe. This BOGO is exciting! It is going to stir your soul! 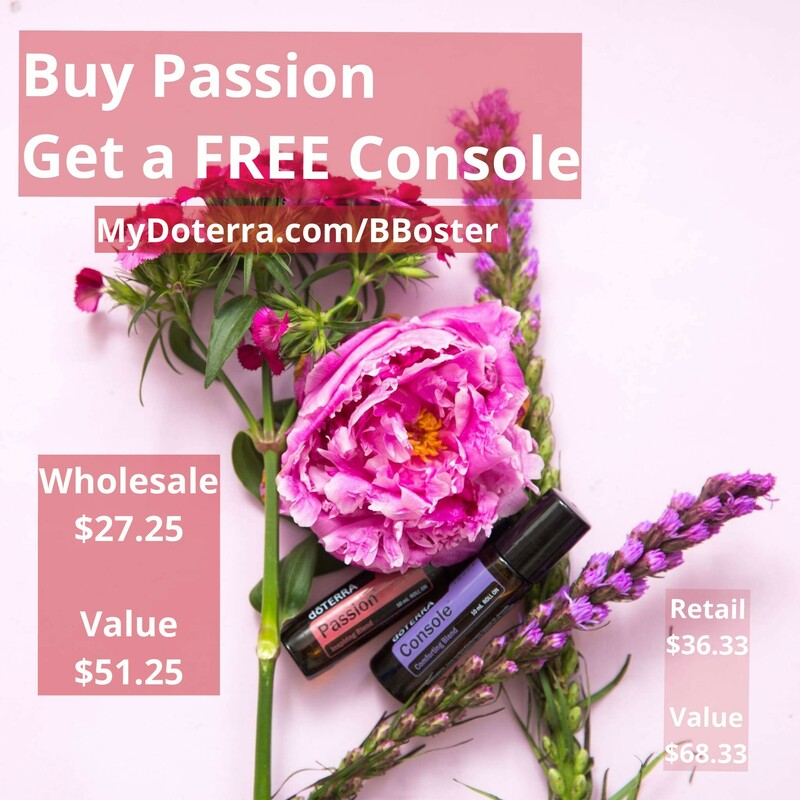 🍃Buy a Passion roller bottle and get a Console FREE! 🍃Passion Blend is made to help you rekindle the excitement in your life. The blend helps you to fight boredom and disinterest. It is a warm and mildly spicy scent. I love to use this blend on days where I am feeling, “Blah.” It has a nice way of stiring up the fire for life! 🍃Console is a wonderful blend that I lean on in times of sadness or self-pity. Console is also warm and earthy scent. It helps to combat feelings of sadness or hopelessness. I use it to help me feel comforted and whole when I think that something needs to be rectified. Buy buying them retail you will you spend $36.33 and get the FREE Console which is a $32 value. If you decide to go Wholesale (a $35 membership fee for the year) then you could GET BOTH ITEMS for $27.25 and save $33.08 over all! (Consoles whole Sale cost is $24) That almost pays for your membership. At the top add an enrollment kit (and waive your fee) or the $35 membership. You can learn more about Wholesale and why it is THE BOMB here. Check out mydoterra.com/BBoster or message me if you would like this BOGO. Remember from the video on Tuesday that anyone who purchases a BOGO through me will be entered to win a Wholesale Membership. Each purchase is an entry!